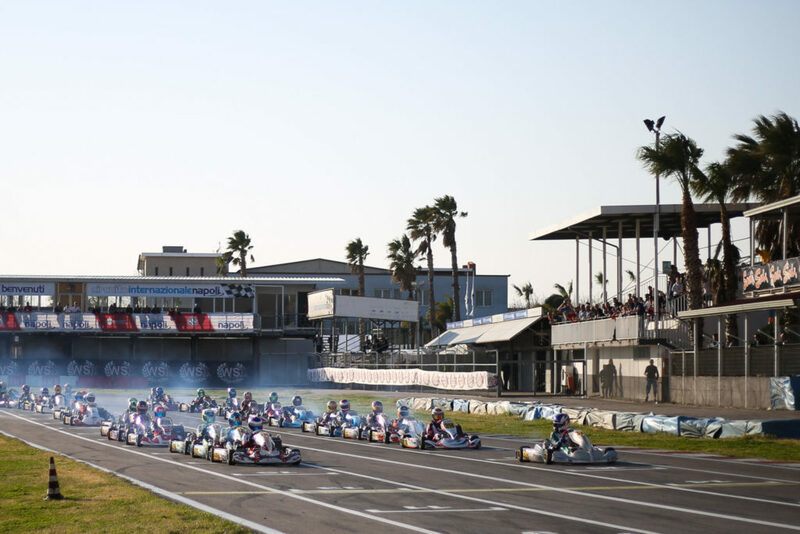 The International Circuit of Napoli is the stage of an important comeback this weekend as the WSK Euro Series organized by WSK Promotion is making its return for the first time since 2013. The opening round of a four-event calendar between Italy and France takes place in Sarno less than a week after the conclusion of the WSK Super Master Series on the same track where more than 200 drivers are expected in the four categories 60 Mini, OK Junior, OK, and KZ2. © 2019, Alexandros Vernardis / The RaceBox. Teams and drivers taking part in this opening round will stay on the Circuit Napoli from Thursday to Sunday. Every event will enjoy the usual media coverage by WSK Promotion which includes the live timing for each of the four days of action plus live streaming of the Finals on Sunday. What makes this year’s return of the WSK Euro Series even more special is its validity as Italian OK and OK Junior ACI Sport Karting Championships. The events held in Sarno, Lonato (on June 23rd) and Adria (June 30th) will, therefore, award points valid for the Italian titles of the two categories. This decision by the ACI Sport’s Sporting Commission entitles all the international drivers entering these future WSK events to compete for the two titles. The WSK Euro Series will follow the tested format of the sporting regulations employed in other events: four rounds for the categories OK, OK Junior, 60 Mini and two rounds for KZ2 as the latter will join the show in Sarno and in the third round at South Garda. Points will follow an increasing scoring scheme for each of the four rounds. Classification points are awarded at the end of Qualifying Heats on Saturday and further points will be accumulated based on the pecking order in Prefinals and Finals. Every point will count with no results to be discarded. The Grand Finale will take place on the Adria International Raceway as the closing round of the WSK Euro Series will be entirely run overnight (see the full calendar below). Panta will provide the fuel to all the teams and the tire supplying will be shared between Bridgestone for OK and KZ2 and Vega for OK Junior and 60 Mini. Click here to download the full entry list. Looking back at the history of the WSK Euro Series, its most recent edition goes back to 2013 where it ended with the victory going to drivers who, at the time, were trying to make a name for themselves before embracing a career in single-seater that has led them for Formula 1. Back then, Max Verstappen, now driving for Red Bull Racing, had claimed the victory in KZ1 with CRG while the new McLaren F1 driver Lando Norris won the KF Junior class driving for Ricky Flynn Motorsport. The current Scuderia Ferrari driver Charles Leclerc also won the WSK Euro Series in KF2 the year before (2012) defending the colors of BirelART, six years after another name who made his way to the top of all motorsport series, Valtteri Bottas, who had won the competition back in 2006 on a Gillard chassis. As for every event in the WSK calendar, The RaceBox provides you with a special page available on this website from Friday morning with Live Timing and Live Streaming (by WSK Promotion, Sunday only) along with our complete reports published every day to keep you up to date with the results.